Fiddle-Dee-Dee Designs: DSD 2018 KICKOFF - It's About Time FREEBIE BLOG HOP! DSD 2018 KICKOFF - It's About Time FREEBIE BLOG HOP! Hey y'all and welcome to my stop on the TLP's It's About Time: Yesterday Freebie Blog Hop! 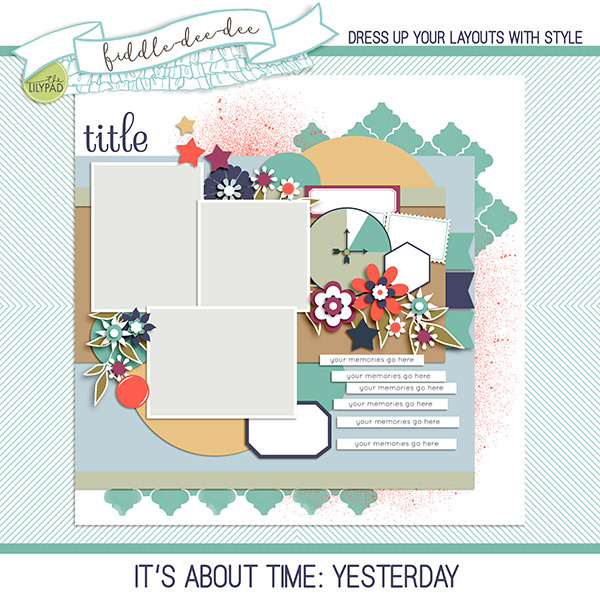 We are gearing up for Digital Scrapbooking Day (DSD) 2018, and we're bringing the fun to you early with a gorgeous and huge collab kit, It's About Time: Yesterday by The Lilypad Designers . . . and it's FREE! It's About Time: Yesterday downloads are available until October 3rd at 11:59 pm EDT. Look for It's About Time: Today and It's About Time: Tomorrow in the shop as Free with Purchase kits during our Digital Scrapbooking Day celebrations from October 4th-8th. Be sure to sign up for my newsletter so you don't miss any news about sales, exclusive subscriber offers and additional freebies. You can download my part of the It's About Time: Yesterday Blog Hop by clicking the preview image. Thanks so much for stopping by! Here's a quick link to visit my shop so you can fill your wish list in preparation for the storewide sale! And now hop on over to ForeverJoy Designs' blog to continue to the next hop stop! Thanks so much, Cheryl! I love it! You are very welcome, Cheryl! Enjoy! Wow, this template has a lot to choose from to use! Thank you very much! Thank you so much for this fun template! Thankyou for your lovely template. Awesome looking template! Thank you so much! Beautiful Template! Thanks so much!! Thank you so much! I always LOVE your templates!! !